Purvi Patel was found guilty of both feticide and child neglect in Indiana in February and now faces 70 years in jail. A jury deliberated for about 5 hours even though there are no facts supporting either the feticide claim or the neglect, never mind the travesty that child neglect and feticide are incompatible charges. It’s hard to neglect a baby you have already been found guilty of killing as a fetus. Truly a bizarre version of double jeopardy. While every other crime has an attempted category this is apparently not the case with feticide in Indiana, trying and failing to commit feticide (now matter how ineffective your attempt) is the same as feticide. I wrote about this case last year. Ms. Patel delivered a very premature baby alone at home. By all reports around 23-25 weeks gestation. She reported having pain, not knowing how far along she was and then “it just all fell out… gushing blood on the floor.” I have delivered many premature babies and had a very premature baby myself. That is exactly how it happens. A 1-1.5 lb baby delivers very quickly. They often fall in toilets as women don’t realize they are in labor. Ms. Patel presented to the hospital after her delivery and the placenta was still in utero. A police investigation (which involved an overly zealous doctor) led to the discovery of the fetus in a dumpster. Ms. Patel claimed she did not know how far along she was in the pregnancy. She did not seek prenatal care so she couldn’t have know for sure. In addition, she was hiding the pregnancy and in my experience this leads many women to ignore the early signs of pregnancy. It is very common to tell someone with an unplanned pregnancy that they are actually 18 weeks, not 10 weeks. Even women with wanted pregnancies can be woefully off on their dates. In fact, I have delivered many women with wanted pregnancies who had no idea they were pregnant until they found themselves pushing in the emergency department with me between their legs saying saying, “No this isn’t gallstones, I’m really sure.” Denial is a powerful force. Ms. Patel claims she did not take any abortifacients and that the delivery was spontaneous and the baby was born dead. The pathology report indicates the fetus hemorrhaged significantly (likely from a torn umbilical cord) during birth or immediately afterwards. Ms. Patel was afraid, confused, and as being pregnant and unmarried was shameful to her and believing the fetus was born dead she hid it. 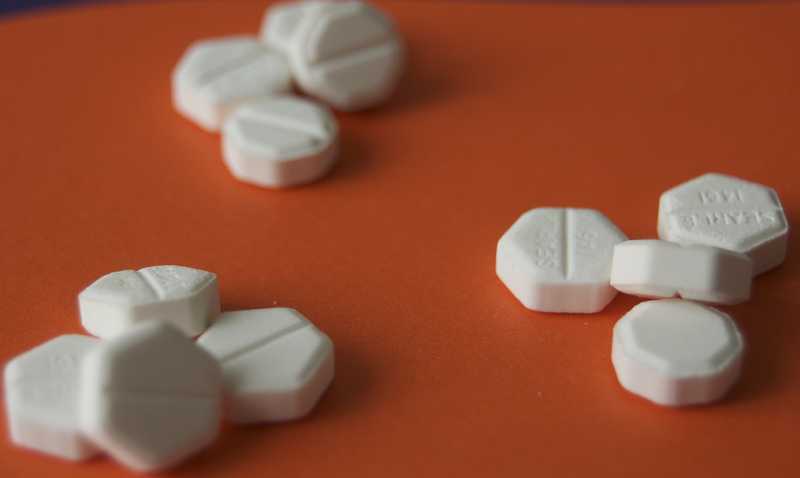 The prosecution provided no evidence that Ms. Patel actually took abortifacients. She texted a friend when she was about 8-12 weeks pregnant (about 1 month before she delivered) about taking a medication to end the pregnancy. I found conflicting information about whether or not she actually bought what she thought was an abortifacient online. RU-486 would not cause an abortion past 12 weeks so even if she did buy that it’s moot, so the only drug that could have brought on her premature labor would be misoprostol, but her toxicology report was negative for that drug. Even if she did buy what she believed was misoprostol there is a good likelihood that what she received was counterfeit. This fact has been detailed extensively. There is no government official to complain to if you buy placebo illegal abortifacients online. The prosecution presented an expert who used a widely discredited method (floating the fetal lungs in water) to see if the baby was born alive. According to my copy of Medicolegal Investigations of Death, 4th Edition floating the lungs “must not be regarded as absolute proof of a live birth.” There are several factors and events that can contribute to false positives and false negatives. Therefore this test can’t be used if the standard is beyond a reasonable doubt. The state’s pathologist testified there were other signs the baby was born alive, but the science is by no means exact. There isn’t a 100% yes or no test. The expert for Patel countered the fetus was not likely viable. The only facts are Ms. Patel went into labor prematurely and hid the body of the fetus. She had no way of knowing how far along she was in the pregnancy and the likely cause of her premature delivery was lack of prenatal care (that is after all the #1 cause of prematurity in the United States). She was found guilty because she didn’t know she was as far along she was in the pregnancy and didn’t call an ambulance (or was to ill/confused to call an ambulance) and then panicked because she didn’t know what to do. There is no evidence Ms. Patel took an abortifacent, so how she can be guilty to feticide is beyond comprehension unless wishing you were not pregnant is now considered feticide in Indiana. There appears to be little convincing evidence (beyond a reasonable doubt) that the fetus was born alive, so the neglect charges are equally disturbing. These cases can only be an attempt to score anti-choice political points and punish women, because if the state of Indiana really cared about preventing fetal demise they would ban cigarettes and if prosecuting feticide were really the point they would be be looking at stillbirths due to cigarette smoking and obesity (I’m not suggesting anyone be prosecuted for a stillbirth, rather pointing out the irony that in Indiana it’s okay to smoke and have a stillbirth, but not to have an unplanned premature delivery at home and then panic about what to do). Then there is the whole concept that of instead of waisting tax payer dollars on this kind of prosecution that the money would be far better invested if it were channelled into prenatal care. In the meantime if you live in Indiana and are pregnant, don’t ever tell or text anyone that you are ambivalent about being pregnant or are thinking about an abortion because if you have a fetal demise the fact that at one point you might have contemplated an abortion means you had something to do with it, medical evidence proving otherwise be damned. And if you have a precipitous premature delivery at home the first thing you must do is not cry or grieve or freak out because you didn’t realize you were that far along or pass out from blood loss, you must immediately call 911 because not being able to triage your own emergency home delivery is also a crime in Indiana. « How did the University of Toronto IRB approve a homeopathy for ADHD study? This is mind-boggling, to say the least. And then when I realized it was Indiana and not some other country (I must have misread the first line) it became even more horrifying. I find this appalling–for personal reasons as well as for those you state, which I agree with. My mother suffered repeated miscarriages in the late 1930s and early 1940s. Although abortion was illegal then, miscarriages were known to occur and women who had them were not criminalized. Had these laws and attitudes existed at the time, I am sure my mother would have been arrested and probably imprisoned. And I would never have been conceived. I am the product of her last, and only successful, pregnancy. And I just turned 70, which makes Ms. Patel’s sentence of 70 years particularly concrete to me. And I’m not the only child ever born after either spontaneous miscarriage or intentional abortion. A woman’s life is worth something. A woman’s potential is worth something. These laws and these attitudes are aimed at destroying women’s worth, women’s rights to exist as citizens, to make their own choice, even to suffer their own losses. The lives of children born after miscarriage or abortion are worth something, too. My life. The lives of some of my friends. The lives of friends’ children. These laws, and these attitudes towards women by those in power, must change. The US is a very strange country at times. Who/where else would do this? Who benefits? Okay, I’ve read this a few times and I’m still trying to wrap my head around whatever logic these people think they have. I could understand her being given a slap on the wrist for hiding the fetus but she did panic, she was single and scared of being judged unfairly as an unwed mother. But come on people, a 70 year sentence? Is this sentence a means of protecting any future children? Wait, how could it? She’s not going to get married and have children locked up in prison. One can only assume that such a severe sentence, essentially a trading of her life for the child that could have been born, is to let other women know that the same fate is in store for them if they dare, yes dare, to have a spontaneous miscarriage. As if it can be controlled by anyone. The more I hear of how the laws are being changed in the States the happier I am to be Canadian. At one time the States stood for human rights, opportunities for people to improve their lives, and was held up as one of the greatest countries in the world. Now it seems to be retreating to the Dark Ages, taking away women’s rights, religious freedoms, employment opportunities, and other basic human rights. I know Canada has its’ own issues but we still have our rights protected by our laws. It scares me that there are states which can pass these laws and not be overridden by the Federal government. It scares me more when I think of how closely my country and yours interacts with each other. All I can do is add my voice to all the ones crying that this is unfair, degrading, and a violation of women’s rights. I don’t know the American constitution enough to know if it is unconstitutional as well. Probably not if it was able to be passed as a law to begin with. I doubt the Founding Fathers thought this would ever be an issue. I’ve read this several times — last year when it was first posted—-and now……and it does NOT make sense. So if I even think I might need to not be pregnant, and if I am pregnant, but don’t know how far —and the fetus comes out when I didn’t know I was in labor and …. Seriously…..I can not make sense of this. How can a jury who quite obviously knows absolutely nothing about this decide this woman killed her fetus? Just finding her guilty shows that they know nothing. Is something going to be done to help this poor woman? We do petitions for abused dogs: can we do one for an abused woman – abused by the legal system? Wesel J et all. Frequency of denial of pregnancy: results and epidemiological significance of a 1-year prospective study in Berlin.Acta Obstet Gynecol Scand. 2002;81(11):1021-7.